Joan “Nani” Roma wins the 2014 Dakar Rally // Three MINI ALL4 Racing cars on the podium. Munich (DE). He has done it! Joan “Nani” Roma (ES) in the yellow MINI ALL4 Racing has won the 2014 Dakar Rally. The Monster Energy X-raid Team driver finished the toughest rally challenge in the world just 5:32 minutes in front of his teammate Stéphane Peterhansel (FR) in the black MINI ALL4 Racing. Nasser Al-Attiyah (QT) in the predominantly white MINI ALL4 Racing finished 3rd. The podium was firmly in hand of the MINI cars, which once again proved to be reliable and fast throughout the whole event. The 2014 Dakar Rally was one of the toughest of all time. The 9,374 km-long route led from Rosario (AR) across the Andes and the challenging Atacama desert to Valparaíso (CL) at the Pacific coast. The drivers had to face a lot of different weather conditions and soils. Gravel in the Andes and a lot of extremely fine sand in the hot Atacama desert. 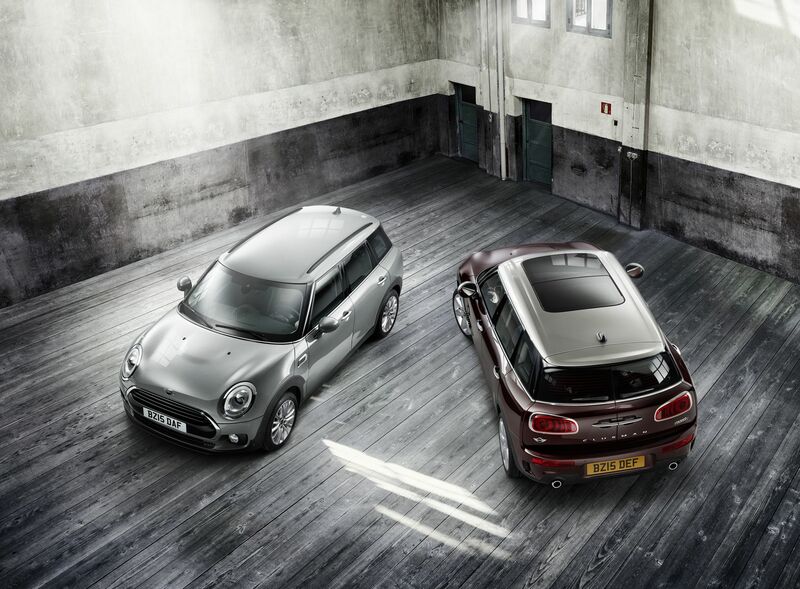 MINI mastered all the challenges and won 11 of the 13 stages. 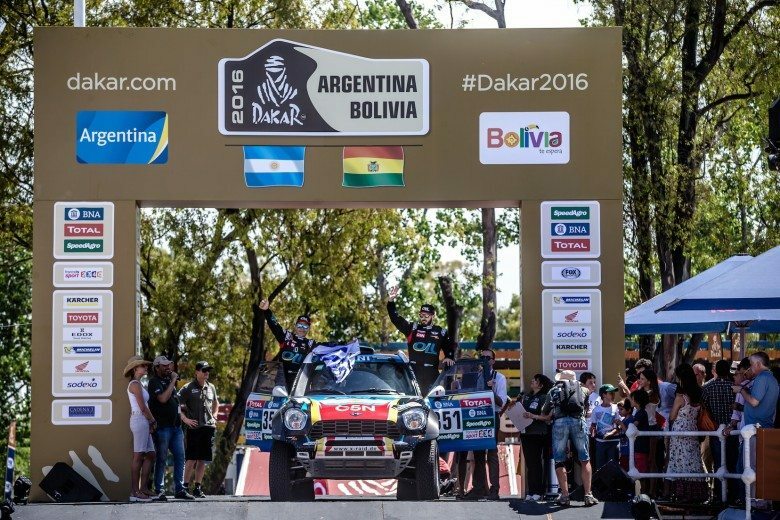 It was the third win in a row since MINI made its debut at the Dakar Rally in 2011. 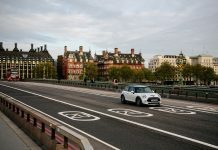 The great reliability of the MINI ALL4 Racing, which is based on the MINI John Cooper Works Countryman, was underlined by the fact that all eleven cars that had started into the event crossed the finish line in Valparaíso. Seven of them finished in the top-ten, including the ones of Monster Energy X-raid Team Orlando Terranova/Paulo Fiúza (AR/PT), who finished 5th overall, and Krzysztof Holowczyc/Konstantin Zhiltsov (PL/RU), who crossed the line 6th overall. MINI at the 2014 Dakar Rally. A total of eleven MINI ALL4 Racing compete in the 2014 Dakar. 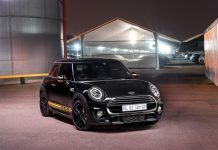 All are based on the MINI John Cooper Works Countryman, modified by the factory-supported X-raid Team to meet the high demands of the Dakar Rally which is today’s pinnacle of off-road motorsports. With a combination of power, reliability and efficiency the MINI ALL4 Racing proved its competiveness right from its first Dakar start in 2011 while also winning the hearts of the fans from the word go. 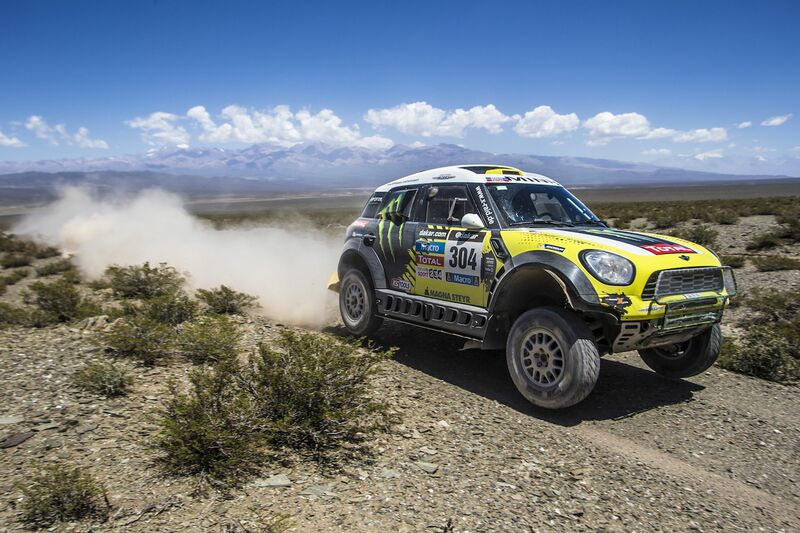 On only its second Dakar appearance, the MINI ALL4 Racing made the big breakthrough by winning the 2012 Dakar Rally. 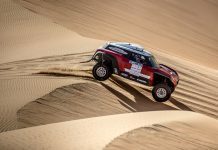 In 2013 the MINI brand proved that its Dakar success was no flash in the pan by defending its title at the first attempt. 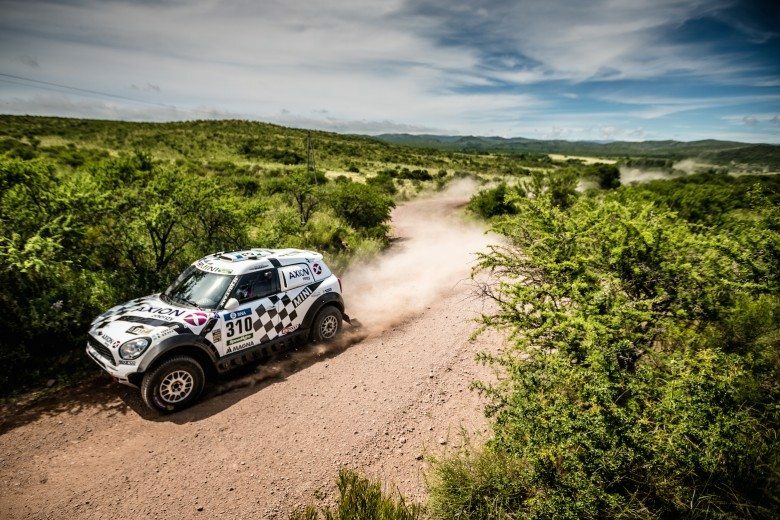 This year, the X-raid Team and the MINI brand are aiming at clinching their third consecutive Dakar title when the 2014 Dakar ends in Valparaiso, Chile, on 18th January.